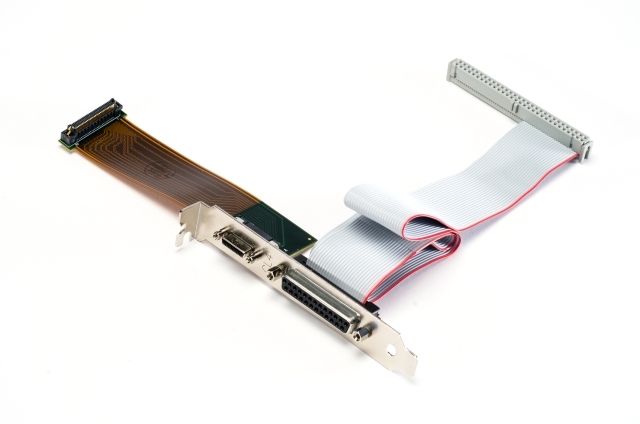 This cable provides access to the fourth CL connector and a reduced set of I/O pins in a single PC slot. This connector is only for the Neon-CLQ quad base frame grabber. This connector can be located either to the right or the left of the Neon-CLQ. The cables are long enough so that the connectors can be up to a few slots away from the Neon-CLQ. The I/O signals on this pin are suitable for controlling one camera or controlling all four cameras with the same triggers and encoders. If access to all of the Neon-CLQ's I/O signals is needed (e.g. a trigger for each camera) then the you must use two cables: the CONN-CLQ-CL4 and the CONN-CLQ-FIO (which brings out all of the I/O signals).